Recent research study finds, "It would be dangerous, and rather silly, to replace your extra-virgin olive oil with coconut oil." Ellie Krieger, registered dietician and nutritionist, delves further into the topic of coconut oil in her Washington Post column. She and Dr. Eyres debunk several myths about coconut oil. Many supporters of coconut oil claim that it is a wonder food because it is a source of medium-chain fatty acids (MCTs). In truth, the predominant fatty acid in coconut oil, lauric acid, is not a medium-chain fatty acid. Coconut oil has less than 3 percent MCT. 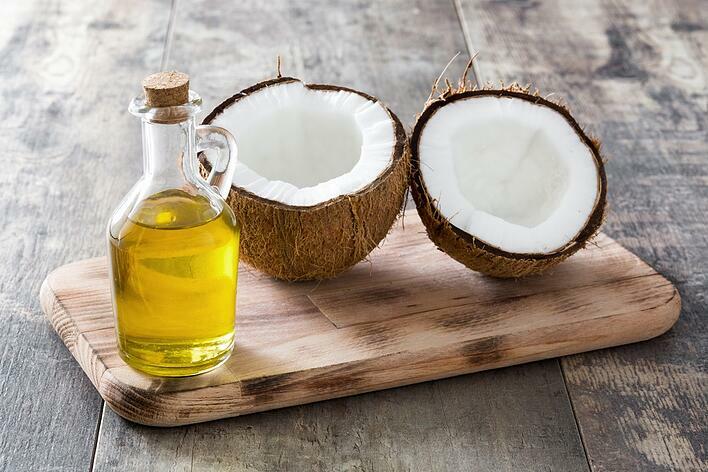 While it is true that coconut oil raises HDL (good) cholesterol, the HDL increase does not compensate for the potentially damaging effects of the small LDL particles, which promote the formation of plaque in the arteries. There are some who claim that saturated fat such as coconut oil and butter do not negatively impact cardiovascular health. But Krieger points out that even if saturated fat turns out to be neutral when it comes to heart disease, unsaturated fats, especially antioxidant-rich oils such as olive oil, are actually protective, so there is good reason to make them your go-to fats. Krieger recomends olive oil for everyday cooking including high-heat sautéing. Read the full Washington Post article here and Dr. Eyres study here.